Writers in the last century had their white pages and the ink pen. It was a medium which made for straightforward penning down. We in the present age have a lot more. 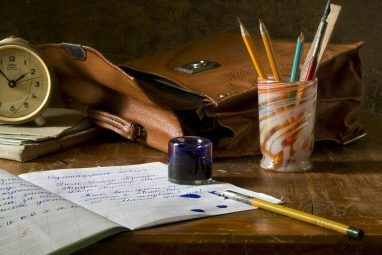 Specialized writing tools like MS Word or any other, with their bundle of help aids. In-built dictionaries, spell checkers, format commands and what not. We have seen how easy it is to become a slave to these powerful tools. Word applications with a bouquet of features have their uses, but just sometimes, writers who write for pleasure rather than for filling up the whitespace need something simpler. Such simple tools are dressed down text processors. Minimalist text editors Free Minimalist Text Editors Free Minimalist Text Editors Read More remove distractions that can come between the writer and the creative process. Perhaps, the most well known of these is Darkroom for Windows and Writeroom for the Mac. Then again if you want to stick to MS Word, take a look at how to turn MS Word 2007 into a minimalist text editor. WriteMonkey is another tool for writers to toy around with. Granted, there is very little to toy around with a simple freeware text editor that’s all about keeping thing sparse, but WriteMonkey still has a few features behind its dark facade. Firstly, WriteMonkey is a lightweight download at just about 1.4MB. Extracted into a folder, it does not need an installation. That makes it usable as a portable application. Clicking on the WriteMonkey exe icon brings up a black screen occupying the entire screen. The text color is in high contrast green. Start typing away. This minimal text editor is not about green writing on a black surface only. It gives the creative writer some tools to make his workflow a bit smoother. Right click and you get a menu with all features listed. Let’s take a look at some of them. Toggle between full screen view and a windowed look with a single click. The window mode comes with a menu while the full screen occupies the entire screen and gives a more focused work area. The Repository holds all unfinished notes or drafts in the same text file. Think of it as a scratch pad for your writing. You can toggle between the main text area and the repository from the right click menu. Spell-check using the inbuilt engine and dictionaries. A lot of the major languages are available for download as are additional dictionaries. Use Jumps to navigate between different parts of your document. If it’s a long document, jumps can handle navigation between paragraphs, headings etc and also make sections quickly accessible with bookmarks. Toggle segment focus and display only a section of a document while hiding the rest. In long documents, this helps to focus and work on a particular area. Check your writing progress with the Progress bar which can be set to a definite word count. The Progress menu also gives you stats feedback on things like character count, paragraphs and percentage of work done. You can also set a timer to limit your writing within a certain time. 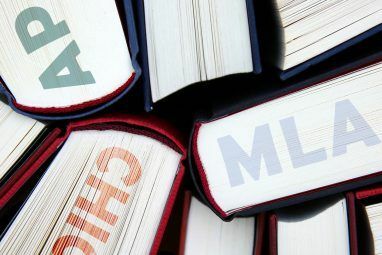 Lookup internet resources like dictionaries, thesauruses, search engines, Google images etc from the right click menu. WriteMonkey is completely configurable. The Preferences dialogs let you set up WriteMonkey for your way of working. The look of the interface can be changes via the background color and the font colors. More important than cosmetics, WriteMonkey can be setup to create auto-backups of all your writing and along with its auto-save feature, safeguards your work. Hark back to the old days with the clickety clack of typewriter sounds or use any sound scheme of your choice. Or turn it all off for some silent work. Well, all these features don’t make WriteMonkey seem that minimal anymore. WriteMonkey tries to give the writer a bit of both worlds – a vanilla interface with some amount of control. The other mobility enhancing feature is its portability. Documents are saved in the TXT format and thus can be opened by any word processors. So, is WriteMonkey more fun than a barrel of monkeys or does it still needs to fine tune its act? How does it compare with Darkroom or any other stripped down text app you might have used? Let us know. 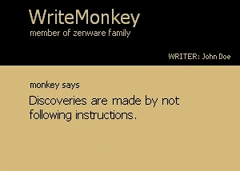 WriteMonkey [No Longer Available] (v 0.9) simple text editor is compatible with Windows XP/Vista/7 and requires Microsoft .NET framework 3.5 (or higher). Thanks Rasel. Hope you ended up using WriteMonkey and are liking it. I was massive WriteMonkey fan, particularly on my netbook for the aforementioned reasons. However, whilst my love hasn't changed, I've moved over to Q10 for reasons I probably couldn't quantify. Try it out! I love this program! I also really like the fact that it doesn't have an installer. I'm so tired of simple applications that have complicated installers! I wish more apps were like this! Thanks Saikat. I am so sick of these writing applications for the easily distracted. If you can't concentrate long enough to get your ideas down, then they probably aren't worth reading. you will find typewriters didn't have web browsers installed, the "easily distracted" tag isn't really relevant. This isn't a new need. I use writemonkey on a netbook, maximising the screen space, and minimising battery use. It's a smart idea if all you occasionally want to do is work on a piece of tetx, if you think about it. I've tried several, and on a PC at least, writemonkey is the best, but please don't feel pressured to keep adding new features, if it takes more than 15 mins to learn, it would miss the point.